Paris 2012: get yourself organised with these colourful accordion-pleated document wallets by Copenhagen brand Hay, presented at Maison & Objet in Paris last week. 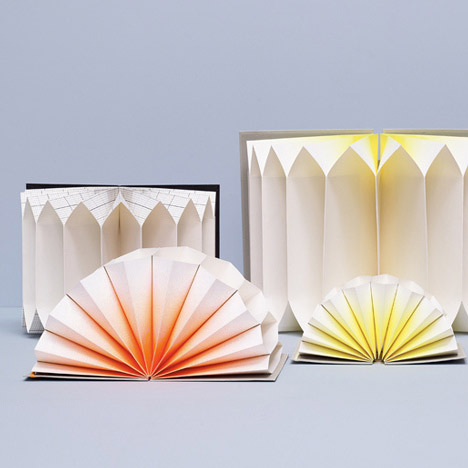 Called Plissè, meaning 'pleated', the designs include a black cover with an insert of black gridlines on white paper, or grey covers with graduated fluorescent inserts. The folders come in A5, A4 and A3 sizes. Check out more designer stationery on Dezeen here.